The Asus ZenFone 5Z (starting at Rs. 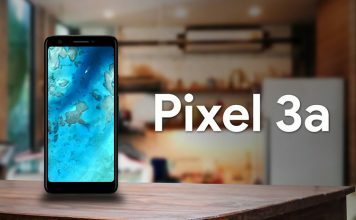 29,999)was recently released and it’s trying to upend the OnePlus 6’s hold on the market, as far as affordably priced flagship smartphones are concerned. While we’ve previously tested the gaming performance of the ZenFone 5Z, if you’re wondering how the phone fares against the OnePlus 6 (starting at Rs. 34,999) in terms of camera, well read on. First things first, let’s get the camera specs for both of the phones out of the way. Alright, with the specs all laid out, let’s check out how these phones compare in real-world usage. I’ll start off with the rear camera first. 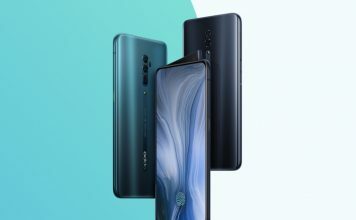 Both these phones come with a dual camera set up on the back, and while the ZenFone 5Z does lag behind the OnePlus 6 in terms of camera specs, it does make use of AI to take better pictures. 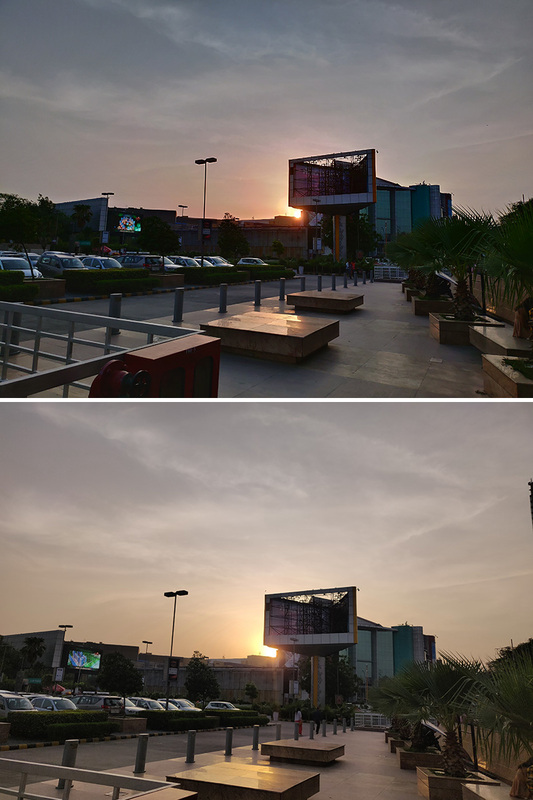 We’re testing out the rear cameras in daytime, low-light, portrait, and videos. In broad daylight, both the phones perform admirably well. The ZenFone 5Z takes some pretty good photos with great color reproduction, and usually a pretty decent HDR. 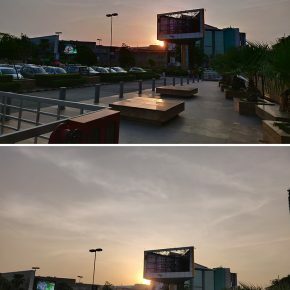 However, I did notice that the ZenFone 5Z is a little heavier on the exposure control which results in a darker image in backlit situations especially of buildings and such when the sun is visible to the camera. 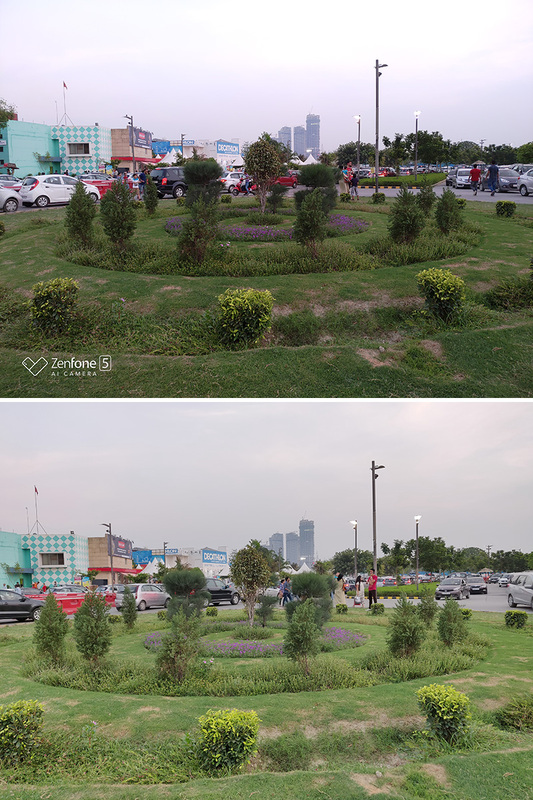 That’s actually expected behavior, but in my opinion, the OnePlus handles exposure balance a lot better – its images are darker than usual too, but it still manages to get an overall brighter image than the ZenFone 5Z without over blowing the sun, for example. 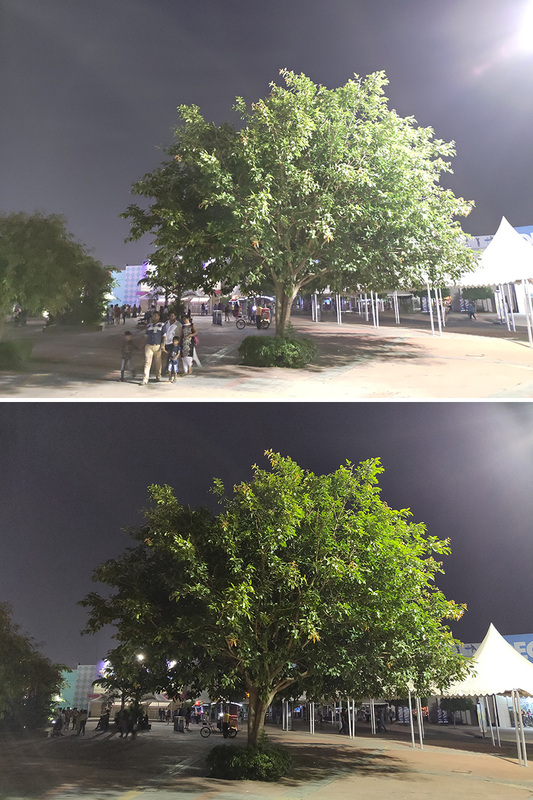 Also, when the ZenFone 5Z’s AI kicks in, it usually results in some highly saturated photos, especially if you’re taking a picture with a lot of foliage in it. It’s almost Samsung like in that regard, and while some people might like that, I personally prefer more natural colors. When it comes to low-light images, the differences become more visible. 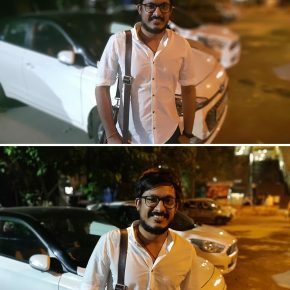 The ZenFone 5Z clearly struggles in low-light. The OnePlus 6 struggles too, but it does manage to capture images that are better than those from the ZenFone 5Z in almost every situation. 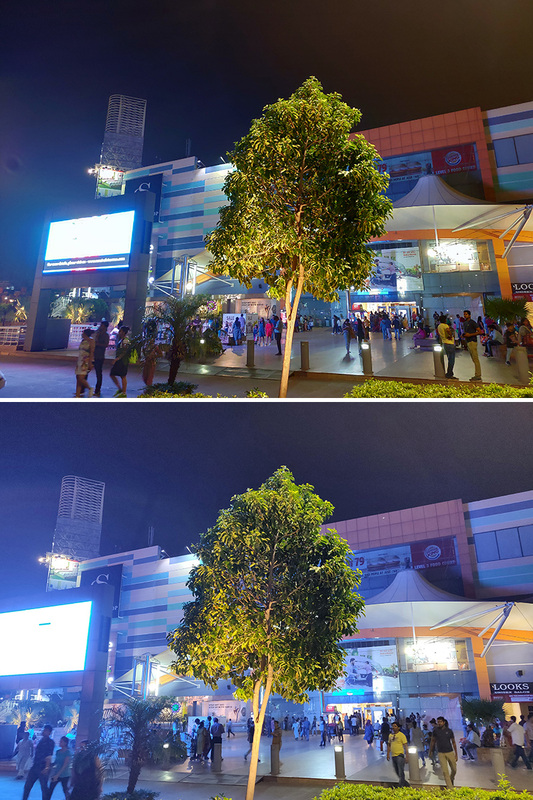 If you look at the pictures below, the photos from the ZenFone 5Z do capture more light than those from the OnePlus 6. However, and this is key, the ZenFone 5Z somehow manages to mess up the focus in almost every single low-light image I have taken with it. 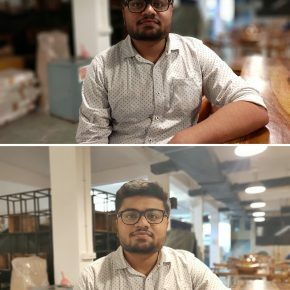 The OnePlus 6 captures less light than the ZenFone 5Z, but it manages to focus on the subject a lot better than the ZenFone 5Z. 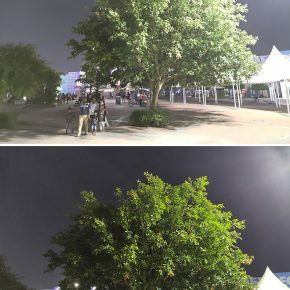 Also noteworthy is the fact that the ZenFone 5Z has a much lower ISO value for almost every low-light image, and the noise is visibly less, however, the over-exposed lights and poor focus makes the OnePlus 6’s photos look better. In portrait mode images, the situation remains pretty much the same. 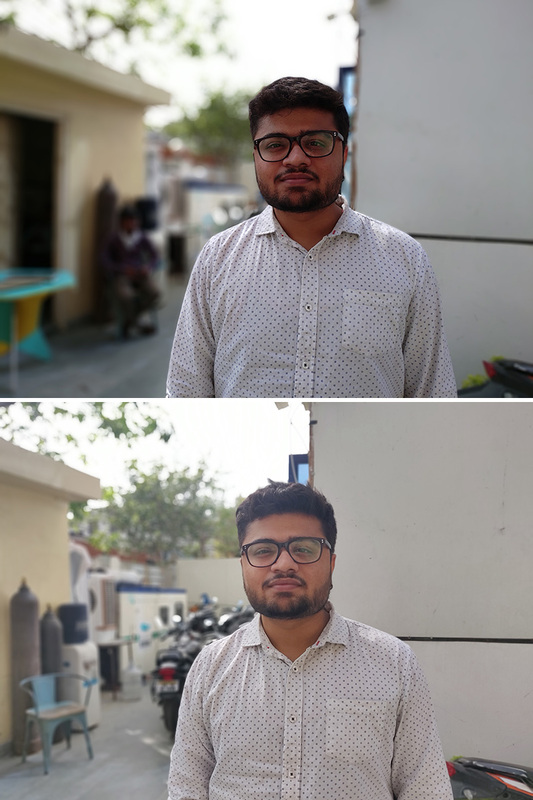 In good light, both the ZenFone 5Z and the OnePlus 6 take decent portrait images. 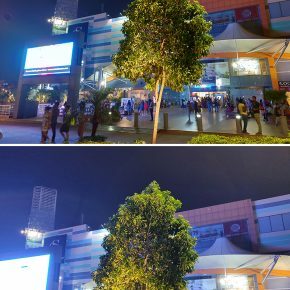 However, in low-light, the ZenFone 5Z starts struggling again. 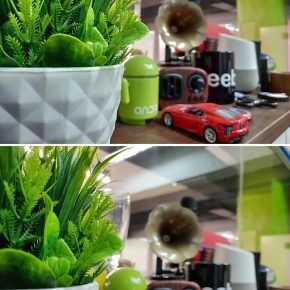 Among the plenty of flaws in the ZenFone 5Z, the one that stands out the most is edge detection. 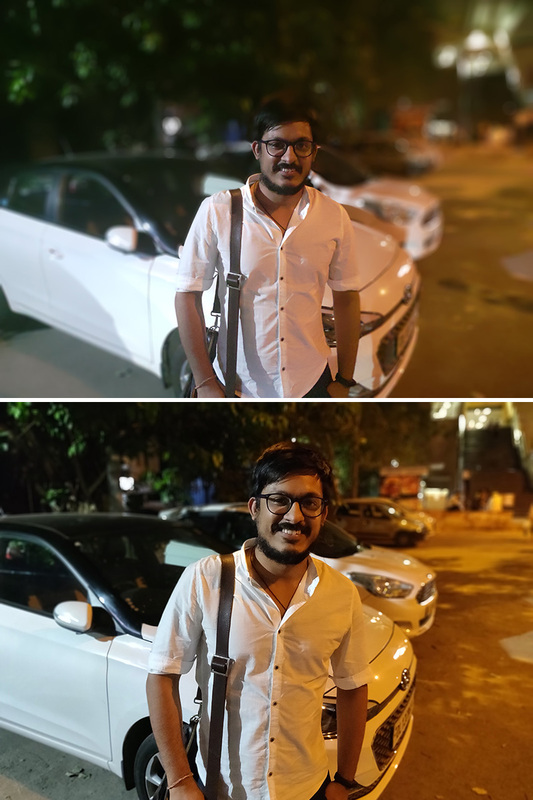 In low light, the ZenFone 5Z messes up edge detection in portrait shots really bad. I’ve noticed the phone cutting off people’s ears, parts of their head, and in some cases just messing everything up — almost like a poorly made horror movie, except without the blood and gore. That’s not to say that the OnePlus 6 is much better. Low light portrait shots from the OnePlus 6 are pretty hit and miss as well, but it doesn’t mess up edge detection nearly as drastically as the ZenFone 5Z does. On the video front, both the ZenFone 5Z and the OnePlus 6 come with OIS + EIS for video stabilization and come with support for shooting 4K videos at 60FPS. 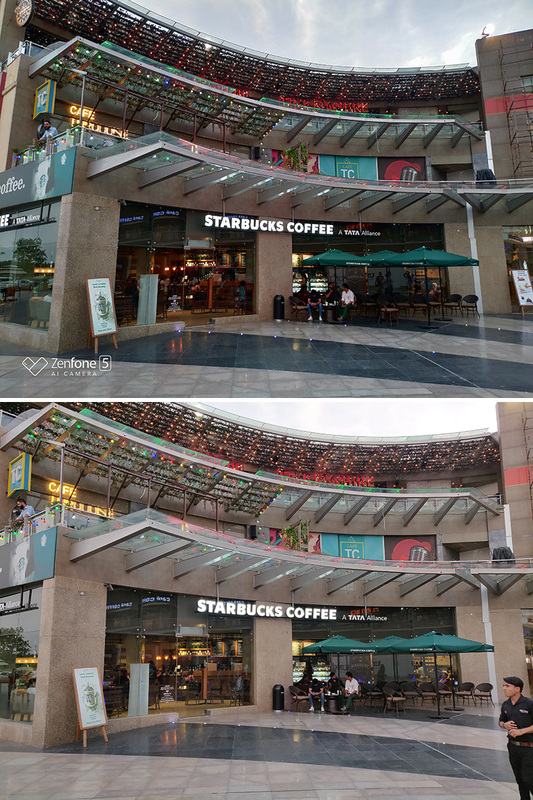 Shooting in 4K at 60FPS shows that while both the ZenFone 5Z and the OnePlus 6 have pretty similar video quality and color reproduction, the ZenFone 5Z struggles with focusing, and tends to be heavy handed on exposure compensation. In 1080p, both phones manage to capture decently stable footage, and the video quality is still on par. 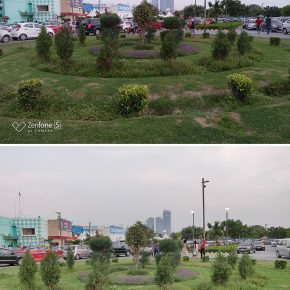 However, the ZenFone 5Z’s focusing problems are still present. That said, I’m sure Asus can fix this with a software update. You can check out our video comparison of the ZenFone 5Z and the OnePlus 6 in the video below. 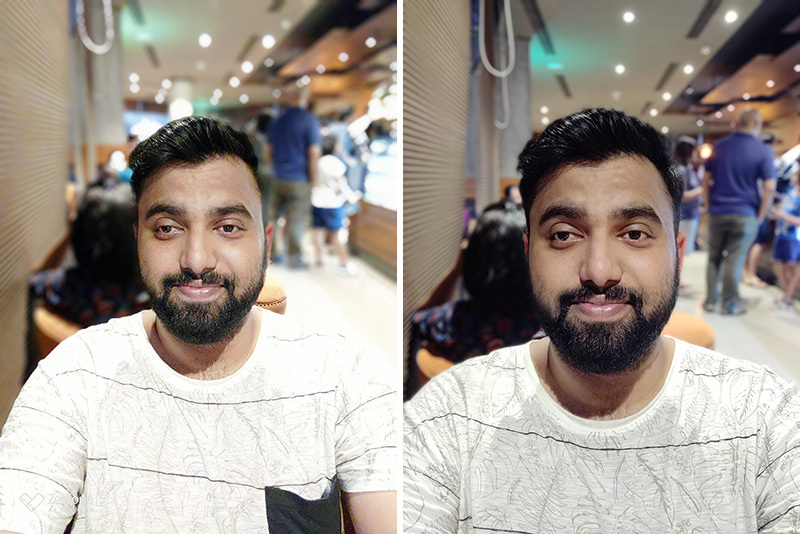 Moving on to the front camera, both the ZenFone 5Z and the OnePlus 6 come with a single front facing camera with support for portrait selfies. 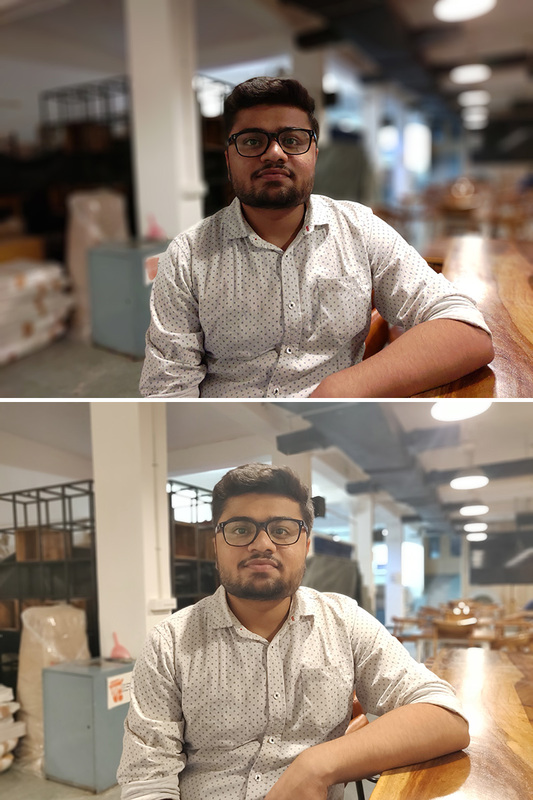 In regular selfies with ample lighting, both the ZenFone 5Z and the OnePlus 6 fare equally well. They take some sharp pictures with decent color balance. 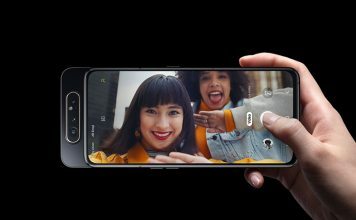 The ZenFone 5Z is definitely on par with the OnePlus 6 when it comes to selfies. However, moving on to portrait mode is a whole other story. 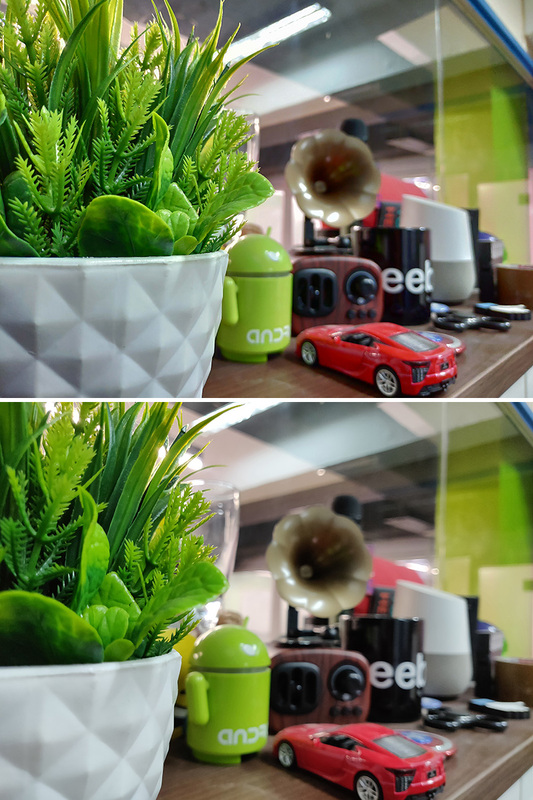 The ZenFone 5Z’s portrait shots usually suffer from the same focusing issues, and edge detection is pretty bad. 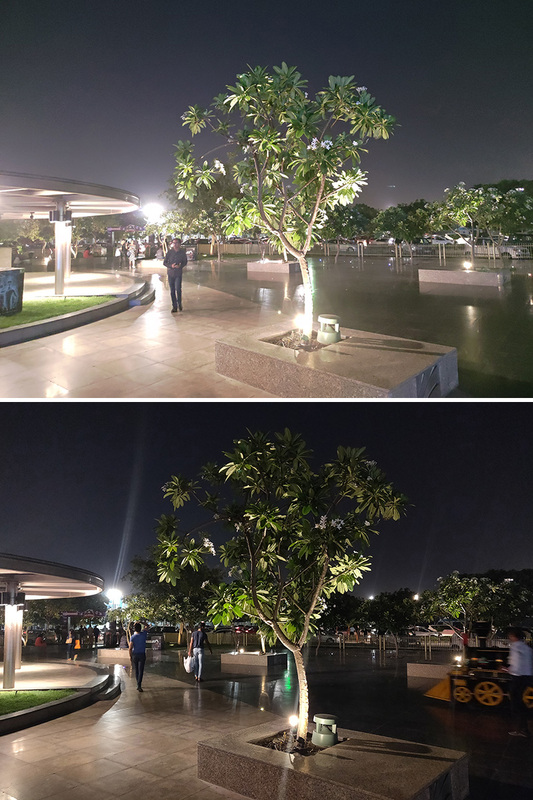 In low-light, portrait shots from the ZenFone 5Z get really noisy, and while the OnePlus 6 isn’t a miracle worker, it does end up taking better photos than the ZenFone 5Z even in low-light. 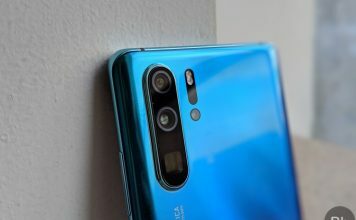 Everything considered, it’s clear that while the ZenFone 5Z (starting at Rs. 29,999) is definitely not a poor camera phone by any means, it’s hardly anything but average. 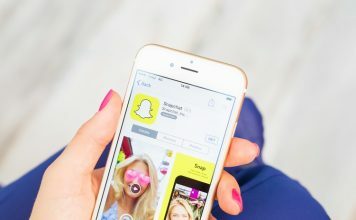 Photos from the phone (other than those taken in broad daylight or in ample lighting conditions) usually turn out noisy, over exposed, or both. The edge detection takes a massive hit in low-light situations and the phone usually ends up messing up more often than it works for taking pictures. In comparison, I’d say the OnePlus 6 (starts at Rs. 34,999) is definitely better than the ZenFone 5Z, at least as far as the cameras are concerned.